Dogs will eat anything. When I had dogs, they would try to eat dead squirrels lying by the side of the road, and of course they eat their own…leavings. 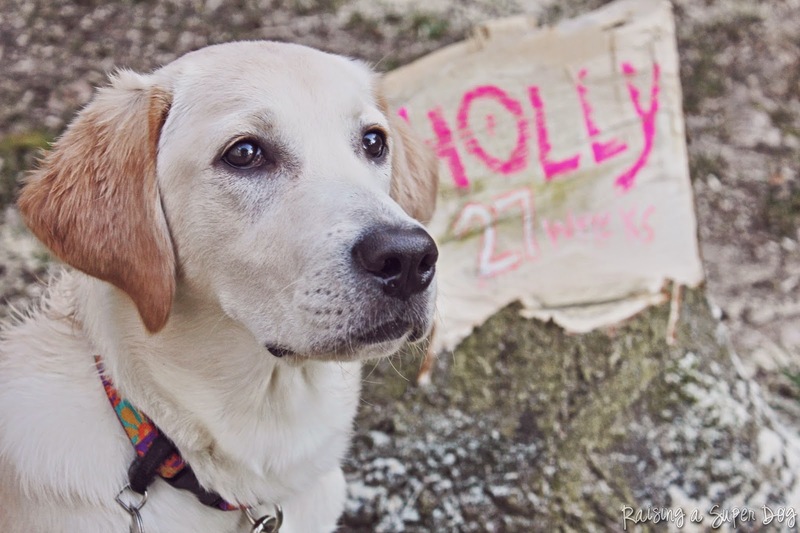 Holly is a beautiful dog! I never put it past a dog that they wouldn't eat anything in sight. Hi Cara, a Happy WW to you! Thanks for stopping by the dog blog. And yep, I've fingerswiped some gag-worthy prizes from a puppy maw more than a couple of times. I suspect Labs might have some goat in their DNA ancestry. My dogs live in the moment. If Micron manages to get in the cat food, he'll be miserably gassy the rest of the day. Still worth it, he says. Then there's the cat box, too. And the bathroom trash with its tissue treasures. All our trash cans have lids, but it doesn't matter. But sawdust? What is so palatable about fresh sawdust to the dogs? That one baffles me.